Vinny Smith is based in Norwich, Norfolk providing services as a Mobile DJ, Wedding DJ, Corporate DJ. Synergy Entertainments provides Wedding, party and event entertainment covering Norfolk, Suffolk & Essex. Highly recommended mobile & wedding DJ in Norwich, Norfolk & Suffolk! Looking forward to two 21st birthdays this weekend - gonna be a good one!! Please feel free to call me on 07875540298, or use the contact form below to give me details of your event and allow me to quote. 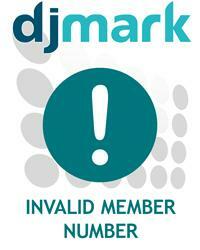 I am a member of the Mobile DJ Network and hold £10,000,000 Public Liabilty Insurance as a member benefit. Here you can download a copy of the Public Liability Insurance held by Vinny Smith of Synergy Entertainments and save as a PDF.